The Chloride Ion-Selective Electrode (ISE) is used to measure the concentration of Chloride (Cl-) in aqueous samples. The concentration of the Chloride ion gives a quick measurement of salinity of water samples. 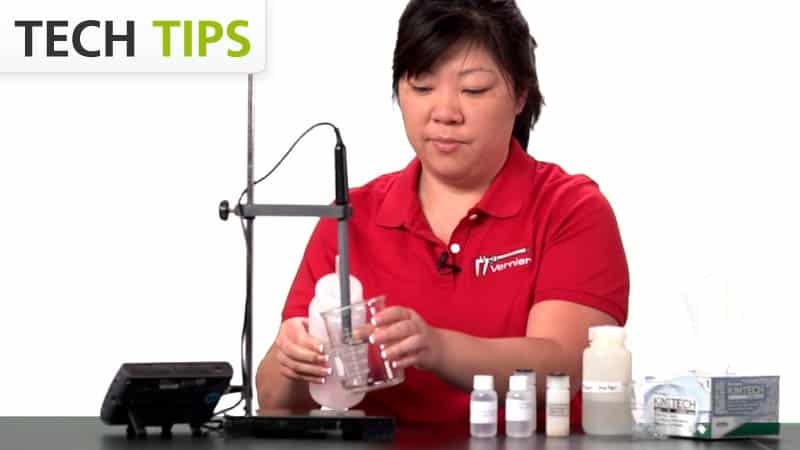 Use the Chloride ISE to measure chloride levels in ocean saltwater or salt in food samples. The Chloride ISE has a combination-style, non-refillable, gel-filled electrode. Unlike other ISEs available from Vernier, the Chloride ISE has a solid-state membrane that does not need to be replaced. The Chloride Ion-Selective Electrode may require a compatible interface and software. Choose a platform below to see compatible interface and software options. The Chloride Ion-Selective Electrode is fully supported with LabQuest 2 (version 2.8.5), a standalone data logger with built-in graphing and analysis software.